fine fine super fine – Lizzy Acker! 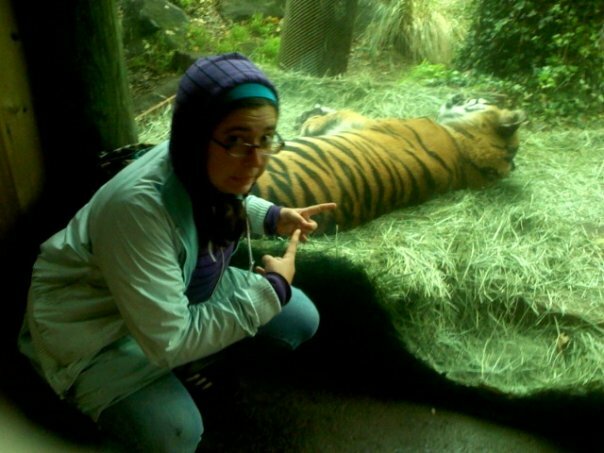 this is an old old picture that was on my parents’ computer called “lizzytiger”. i was hoping it was me AS a tiger, an artist’s rendering of sorts. oh well. i realized today how many things i never really liked until i moved to san francisco. for example: yoga and mexican food. here in pa, a lovely town, don’t get me wrong, i am once again experiencing the cut-rate versions of these things that i imagine the rest of the america has to deal with on a regular basis. other things i never really liked before moving to sf: weather, bike shorts, vegan food, ocean swimming. shoot, my mom made cocktails. i’m out.